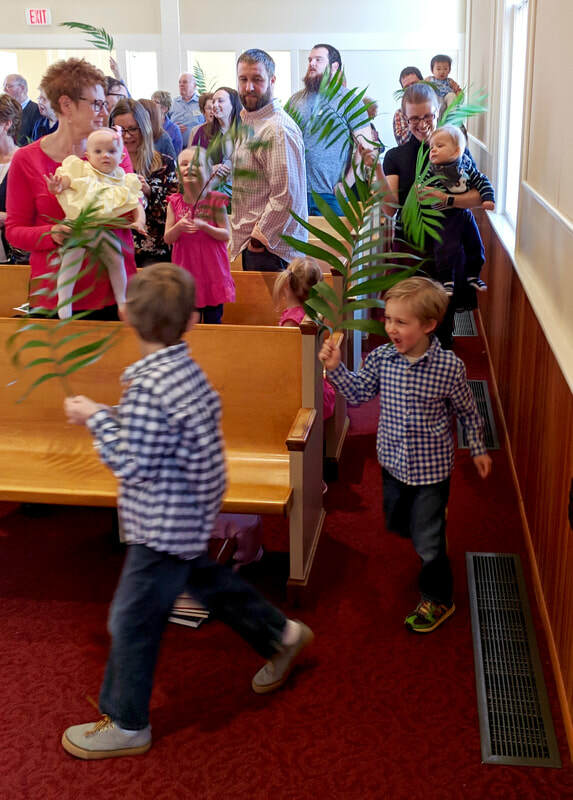 We began our Holy Week Journey on Palm Sunday with our children’s choir singing, He’ll Be Riding on a Donkey. If you would like to watch the video, visit our Facebook page. 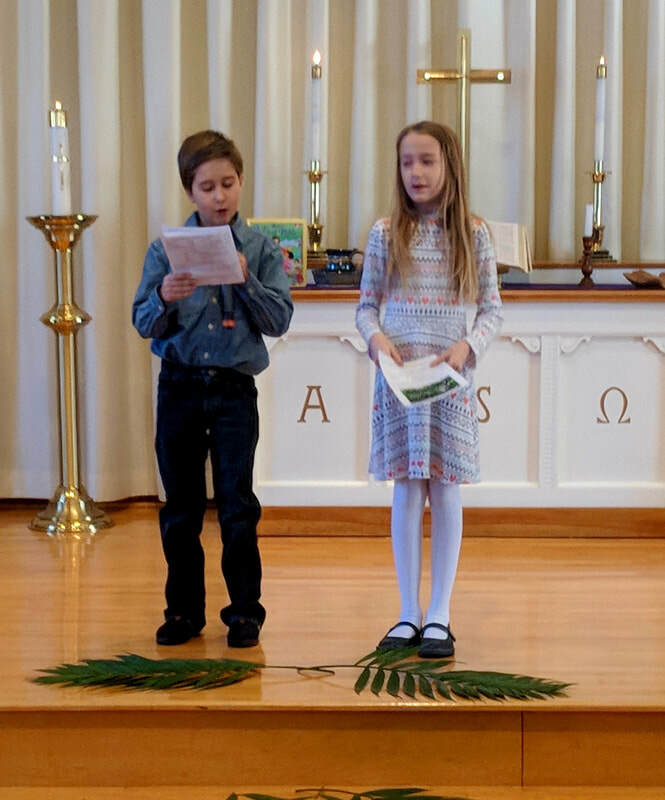 You never know how it will go until they perform, they all did a wonderful job singing — even if your little sister decides to tickle you with the palm branch through the last two verses of the song. On Good Friday we joined together for a potluck at the church. After our supper, we recalled the events of Maundy Thursday and celebrated communion with each other at our tables. We then moved into the sanctuary for a drama called Voices Around the Cross. 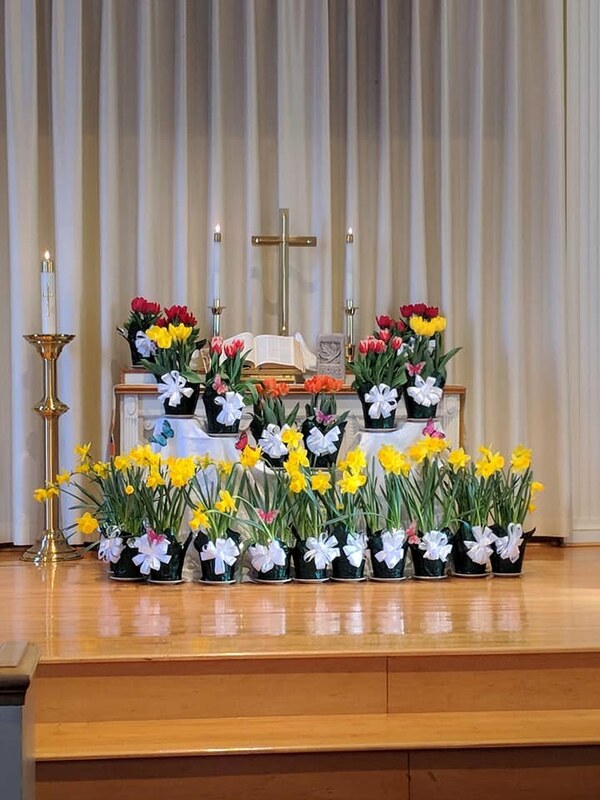 At the conclusion of the drama, we stripped the altar to symbolize Jesus dying for us, and that we leave in mourning. 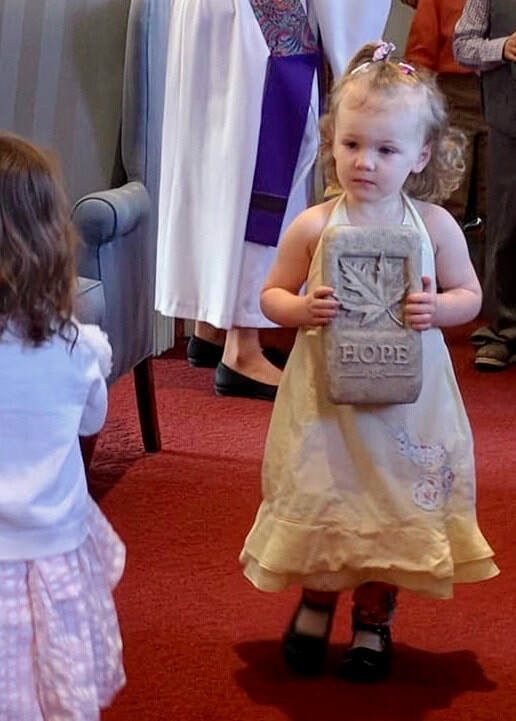 Early Sunday morning our youth led us in an amazing SONrise service with a drama, sermon by Kelsey Charnetski and Gabby Cox, singing, and inviting the congregation to add flowers to the cross to create a blooming cross that was then placed on the front porch of the church. Thank you youth for designing a beautiful worship experience. 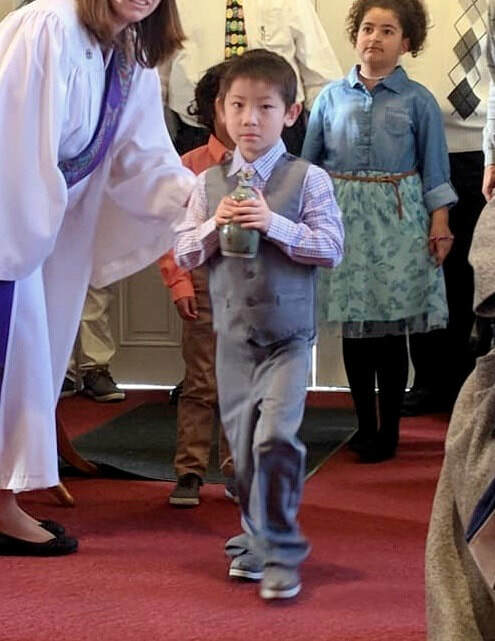 At both the 9 am and 11 am Easter Worship, we were greeted with beautiful music from all our musicians and singers, including our guest organist Maks Jurasek. Our children and youth brought in the elements to dress our altar again to proclaim that Jesus lives forever! 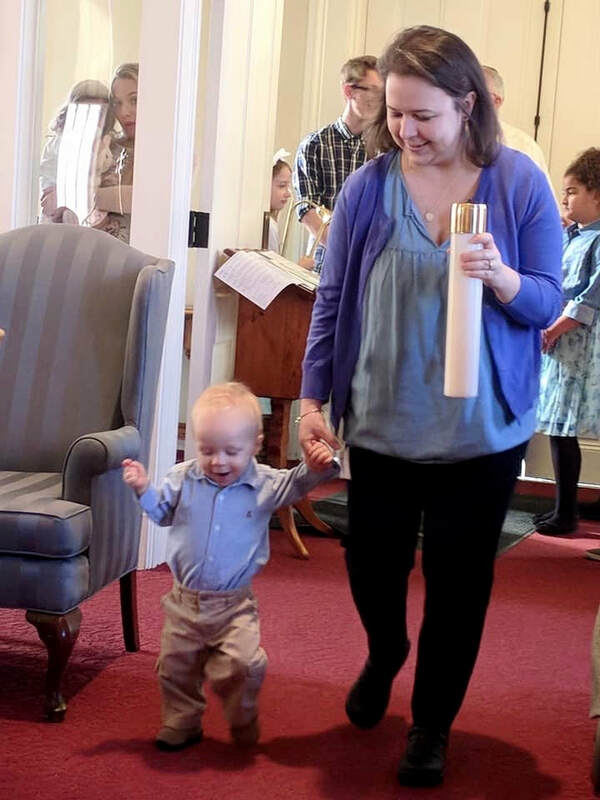 Throughout worship, we laughed together at the butterflies flying up during the children’s message and during the sermon as we began our sermon series “Laughing with God.” The greatest joy of the day is Jesus’ lives, the tomb is empty, and it wasn’t a joke! Let’s sing and shout that always!